The largest established flooring company in Bristol. Huge range of carpet, Vinyl, Laminate and solid wood flooring. Huge range of stock and remnants. Your dedicated experts to the cleaning, repair and restoration of soft and hard floor furnishings. As an award winning company our goal is to provide you with a phenomenal service experience and all ways provide an understanding approach if you do have to rely on using our specialist trauma and mold remediation services. Timeless, elegant, unique. Nothing gives a space that warm, comfortable feeling quite like a beautiful wood floor. It's something that can remind you of time spent outdoors admiring a woodland scene, or a barefoot walk among the trees with their scent on the air and soft foliage under your feet. 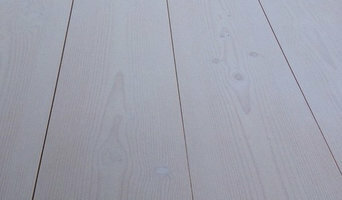 At Woodpecker, we love the sense of being close to nature that wood flooring brings to the home. British Bespoke Manufacturer of Engineered Wooden Flooring Wood Flooring Engineered Ltd are a British bespoke manufacturer of top quality, wide-plank engineered wooden flooring and engineered Parquet flooring. All of our flooring is manufactured at our Burrowbridge factory on the beautiful Somerset Levels. Our range is constantly evolving & currently includes; English Pippy Oak Flooring, English Elm Flooring, Douglas Fir Flooring, White Oak Flooring, Natural Oak Flooring, Black Walnut Flooring and White Ash Flooring. We create custom floors to individual specifications and specialise in bespoke staining, texturising & finishing. Commercial wood flooring & parquet. Architects & Designers... we welcome bespok flooring enquiries and can product match / colour match stains and finishes. Tailored Flooring has been supplying and fitting carpets and floor coverings for more than 20 years and in that time we’ve built up a wealth of knowledge and experience. Our clients include some of the South West’s most beautiful private homes as well as prestigious hotel groups and the homes of the rich and famous. We have fitted carpets in castles throughout England and even in France. We can help you find the right carpet for you, or we can simply create a unique flooring solution personalised to your match your needs. Based in Bristol, our team is led by NICF Master Fitter Darren Taylor. We follow NICF guidelines and all our work is guaranteed in line with the relevant manufacturers’ recommendations. We offer all our clients a personal service from measuring through to fitting and aftercare. And we pay the utmost attention to detail to make sure we provide the highest standard for all your flooring needs. 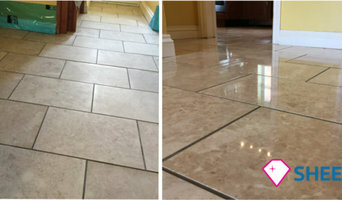 Based in Bristol and supplying the entire UK with all types of quality flooring. Whether it be engineered, solid, laminate or vinyl flooring, we have the means to accommodate all of your flooring needs. We also stock a wide range of underlays and accessories as fell as offering a wealth of help and advice. Come down to our South West showroom to view our wide range of products, or order your free samples from our website. Interiors need texture to bring spaces to life, choose a flooring that works correctly with your design and everything else falls into place. At Classic Carpets we offer the latest products and colour-ways, from some of the best known brands in the business, which will enhance your home for many years. So regardless of your budget we will help you find a look to flatter any style of home from modern apartments to Georgian town houses whether it be for your home or for the office. We offer a comprehensive range of carpets in a variety of styles, backings and shades. High quality man made fibre carpets as well as 100% British Wool and wool mix carpets in twists, loops, velvets, berbers, and saxony – for domestic and contract use. A new carpet gives your floor a new dimension by adding warmth, comfort and creates a feeling of real luxury. Broadleaf are the UK's leading real wood specialist with a unique and unrivalled range of beautiful real wood floors, doors, wall cladding & design for interiors of all styles. At Broadleaf we are passionate about Beautiful Real Wood. It is this passion that has inspired us to manufacture the majority of our products here in the UK so that we can produce the very best real wood floors, doors and joinery possible and offer affordable made to measure and bespoke options. It is also the reason we have created a network of beautiful showrooms where you can see, touch and feel the difference in our products, be inspired and take advantage of our expertise face to face. We firmly believe that there is something special about beautiful real wood that gives it a quality and lasting appeal that cannot be imitated and delivers value for money that cheaper alternatives just cannot match. We don't believe that it is something that you should buy off the shelf, or off the internet, without discussion or advice. It might be a bit old fashioned, but we like to talk to our customers, to understand what they need and to make sure that they are buying the right product to meet their needs. Over the last 10 years, as we have grown our business and developed our product range, we have constantly sought to provide the widest choice of beautiful real wood floors, doors and joinery to domestic and commercial clients alike, across the UK and beyond, along with excellent customer service, creativity, technical knowledge and value for money. We hope that you will choose to work with us and experience the difference of Beautiful Real Wood. We are South Wales’ leading carpet retailer with 3 beautiful modern showrooms in and around Cardiff. We are a family run business having been established at Piccadilly carpets in Caerphilly since 1980 and have been providing excellent quality carpets at very affordable prices ever since. In recent years we have opened 2 more sister stores under the Quality Carpets Direct brand in Cardiff & Penarth. We supply and fit carpets and flooring from all leading manufacturers and deal with many exclusively in our area. All our fitting is guaranteed to be of the highest standards. We are experts in supplying and fitting of Sisal, Jute and Natural Flooring. Bespoke runners from Crucial Trading, Alternative Flooring and Roger Oates. Laminate, Hard Wood and Vinyl floors. All our fitting is in-house and guaranteed using teams that have been with us for many years. Our branches all specialise in different products and have differing ranges so if you need a particular brand please call us to check. We can bring samples to your home if required and we offer a free measuring and estimating service. Call us any time for friendly help or advice. In 2006, the shop was completely rebuilt, allowing for spacious, well-lit display areas and disabled access. 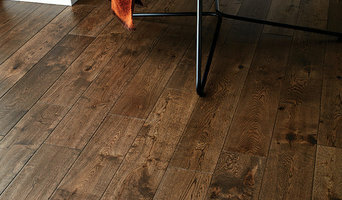 As an independent company, we can offer a huge range of flooring. Feel free to browse in a friendly, colourful atmosphere, drink free coffee and ask advice from our very helpful sales staff (who between the three of them have over 100 years of experience in the flooring trade). Our substantial warehouse allows us to stock a larger range of carpets, vinyl and accessories for next day delivery, and also enables us to store your chosen flooring until it is convenient for us to fit it for you. We employ a large team of experienced fitters, and will assist as necessary. We prepare, uplift, dispose, move furniture, cut doors, and of course fit your flooring. Make your home warm and beautiful with carpets and floor coverings from Carpet Gallery in Newport, Gwent. We sell and install carpets, flooring, and blinds from all of the industry's top manufacturers. With more than 20 years in business, we have a reputation for providing friendly, personal service at the lowest prices around. We are authorised insurance retailers and council/health authority approved specialists. 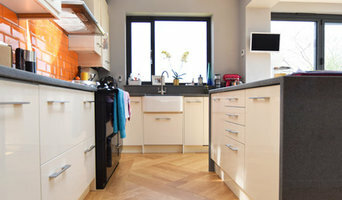 Our company offers a wide range of cleaning services in Bristol. Clients won’t find such a complete list of cleaning operations - from indoor services to outdoor maintenance, including garden and patio services and design. For booking or more information you can visit our website page. Supplier of quality interior and exterior products: natural stone, timber flooring, Everhot range cookers, garden furniture and Kadai firebowls. Where can I find the best Bristol carpet fitters? A carpet professional will often both supply and fit carpets. A full service carpet professional can offer everything from a catalogue of carpet colours and pile options to carpet accessories like underlay, gripper rods and door plates. Carpet fitters will need to measure your home and they will provide you with an estimate for materials and fitting service. Similarly, if you need someone to help with carpet repair there is a dedicated carpet professional in Bristol just a few clicks away. Check the reviews of carpet fitters in Bristol and look out for those who are members of trade organisations such as the NICF (National Institute of Carpet & Floorlayers) or the National Carpet Cleaners Association (NCCA). On Houzz you can search for flooring specialists and carpet fitters in Bristol and start to shortlist companies by adding your favourite images to an ideabook. Think about the style of flooring or design of carpet that might best suit your room and then approach the most relevant experts who can then fit your carpets, lay tiles, install hardwood floors or show you how to fit laminate flooring. Your carpeting and flooring professional might work closely with Bristol contractors, interior designers and others in the home building and home improvement industry. Here are some related professionals and vendors to complement the work of carpet & upholstery cleaners: . What do I need to ask flooring manufacturers, installers and carpet fitters in Bristol before I hire them? How long have so been in the flooring business or working as carpet fitters in Bristol? Find carpet fitters and flooring experts on Houzz. Narrow your search in the Professionals section of the website to Bristol carpet fitter and flooring professionals. You can also look through Bristol photos by style to find a floor design you like, then contact the floor companies or carpet fitters in Bristol that worked on it.